This week’s episode comes to you from the Bell House in Brooklyn, NY as part of the Eugene Mirman Comedy Festival. 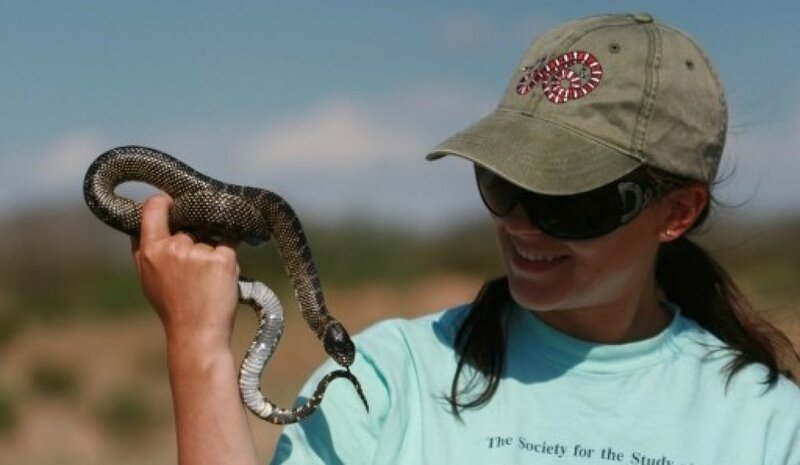 Our expert this week is Dr. Sarah Ruane, a herpetologist and assistant professor at Rutgers University. Dr. Ruane has previously worked at LSU and the American Museum of Natural History. Her work focuses primarily on snakes, and evolutionary biology in particular. At the Ruane Lab, Dr. Ruane and her colleagues are particularly interested in the systematics, phylogenetics, phylogeography of snakes. Much of Dr. Ruane’s work and research help us understand the speciation of snakes, their ecological diversity and their significance in evolutionary biology. With this information, we can discover more about biology and the evolution of not only snakes, but all living organisms.